Over the past few months my mom has given me many different things, mostly clothes, that used to be mine to pass on to my sweet girl. One of the things that she gave me was a tie back, cross stitched bib. I liked the shape and the old fashioned tie back so I decided to do a bib remix. The round shape makes me think of bubbles and that’s why I named it the bubble bib. 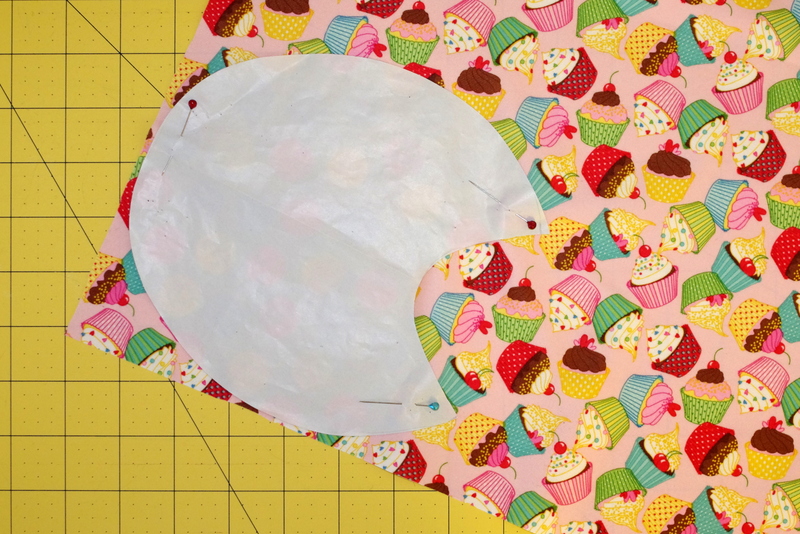 Download the pattern and cut it out. 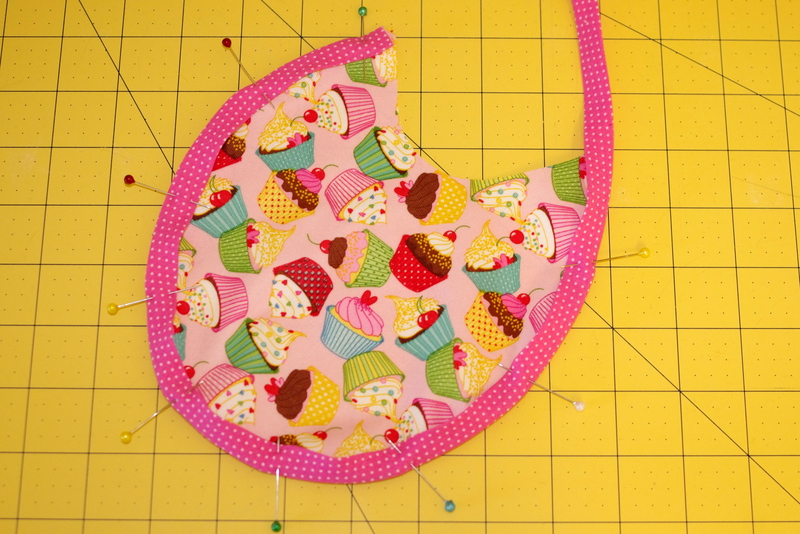 Pin it to your pul fabric and cut out one bubble bib piece. 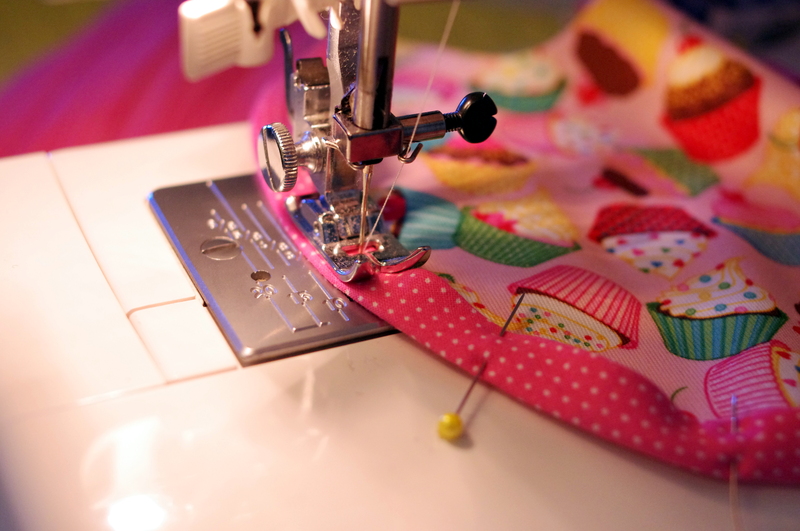 Pin your coordinating bias tape around the outside edge and trim the excess bias tape. Sew with a 1/8” seam allowance. Sew with a 1/8” seam allowance starting from one end of the bias tape to the other. Knot the ends of your bias tape. Recently the little one has started to drool, and not just a little bit, but A LOT! It’s as if a drool faucet has been turned on. She can soak the front of her clothes in a matter of minutes. 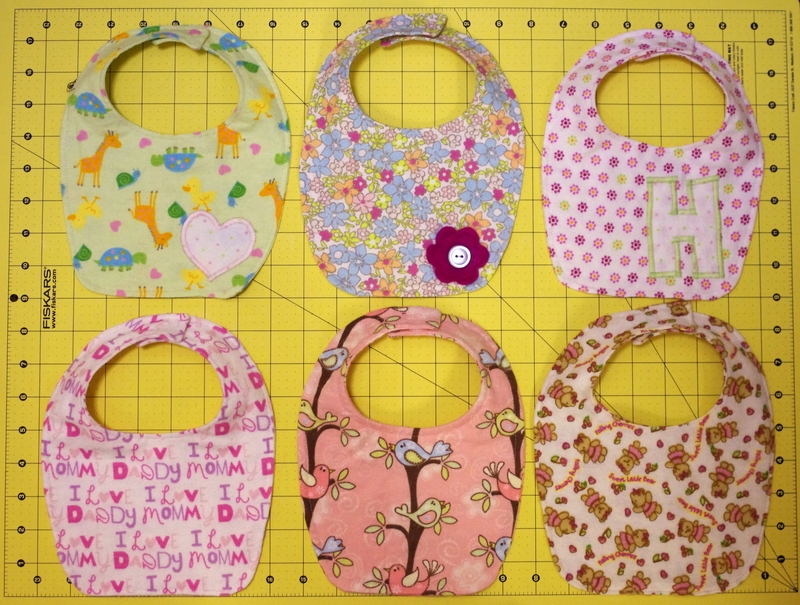 So, I decided to put my new sewing skills to work making her a bunch of much needed bibs and telling you all about it. 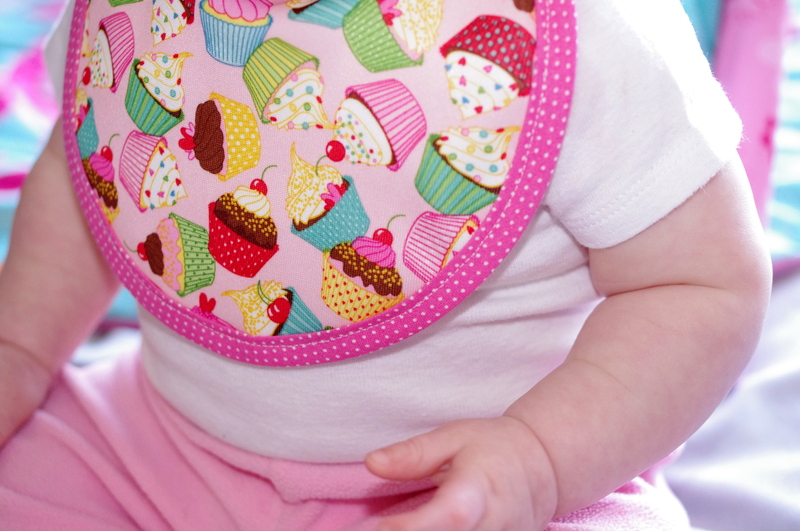 Making a bib is pretty simple really. 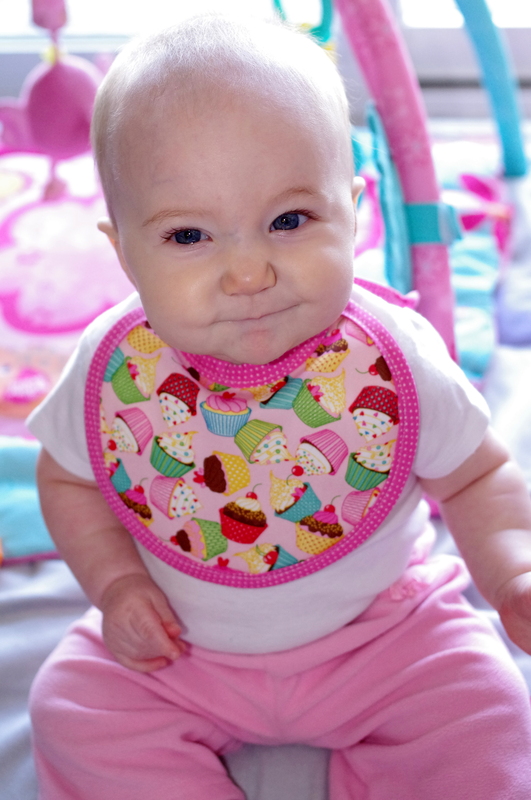 I used my McCall’s M6223 bib pattern, but tracing any old bib to make a pattern works. First, I folded my flannel in half, making sure that my directional patterned fabrics were facing correctly and that the pattern was centered on the fabric the way I wanted. Then, I pinned the pattern to the fabric and cut out two bib pieces. I wanted a less rounded bottom to the bibs than the pattern, so I made more of a straight cut at the bottom and then rounded the edges. After that, I pinned the fabric right sides together and stitched around the bib, making sure to leave a small part open for turning. I turned the fabric right side out, pressed, and then folded under the little bit of unsewn hem where I left an opening, ironed the hem in place, and sewed with about a 1/8″ seam allowance around the bib to finish. That’s it!! Adding embellishments was fun. 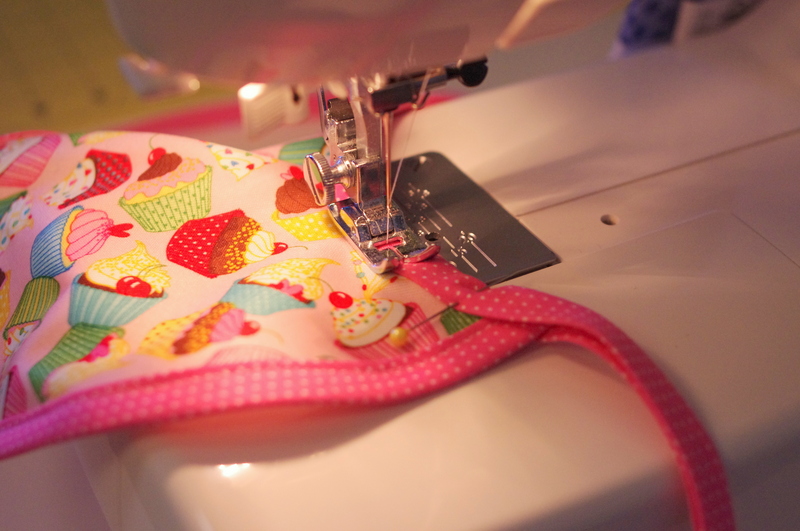 It was the first time that I used the applique setting on my sewing machine. I decided to keep it relatively simple with the applique, sticking with a small heart and a block shaped H. My favorite embellishment is the felt flower with the button. 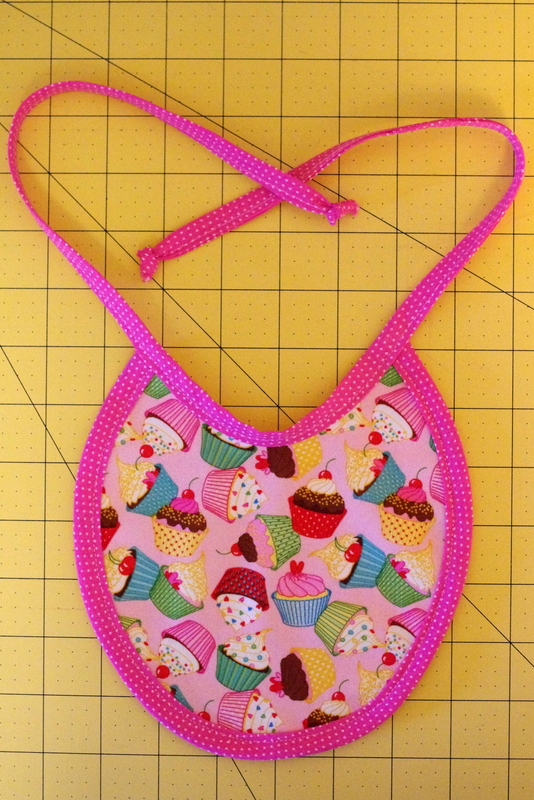 I love the bright pink and I think it looks so cute with the flowered fabric!